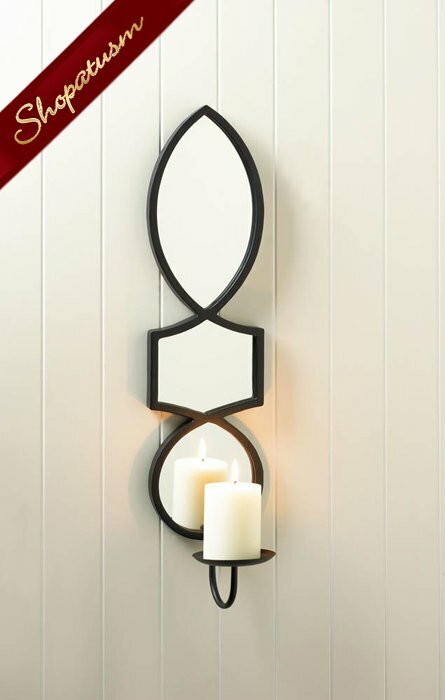 This lovely wall sconce lights up your room in more ways than one! The mirrored shapes reflect the single flame of a pillar candle of your choice, and the elegant design will be a bright spot in your decor. Metal and Mirror. Measurements: 6" x 6.5" x 23.5" High. Weight: 2.6 pounds.